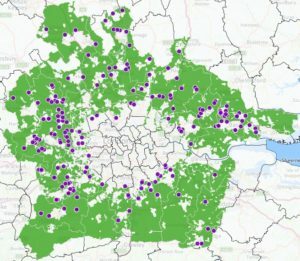 For further information, please contact us or have a look at our London Green Belt Council leaflet – this explains more about our positions, what we do and how to join. If you are an individual with an interest in protecting London’s Green Belt, we now offer an Individual Supporter membership category at the reduced rate of £10. This will offer many of the benefits listed above but without voting rights at meetings. A list of our 2017 members can be found here.